Lilian Stannard (married name Silas) was the daughter of Henry Stannard and a member of a large family of painters (for more background on the family refer to the book by A.J. Lester, "The Stannard Family"). 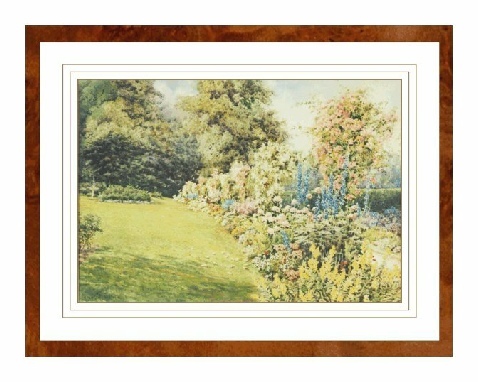 Lilian tended to concentrate on garden scenes, as in the example above which was first exhibited at the Royal Academy in 1929. Other examples of her work can be seen in the book Victorian Flower Gardens by Andrew Clayton-Payne. She lived in Blackheath, London and had several "one man" exhibitions of her work at the Mendoza Art Gallery in 1906, 1907 and 1927 where one of her pictures was purchased by the Princess of Wales. She continues to be a popular artist.